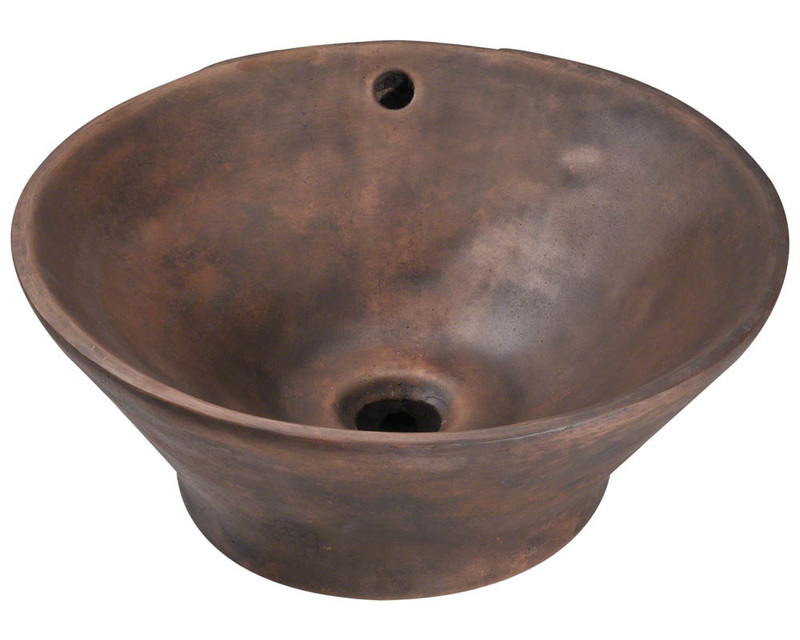 Melted Bronze - Bronze sinks are made from pure bronze and finished with a patina to create a seal and prevent damage. 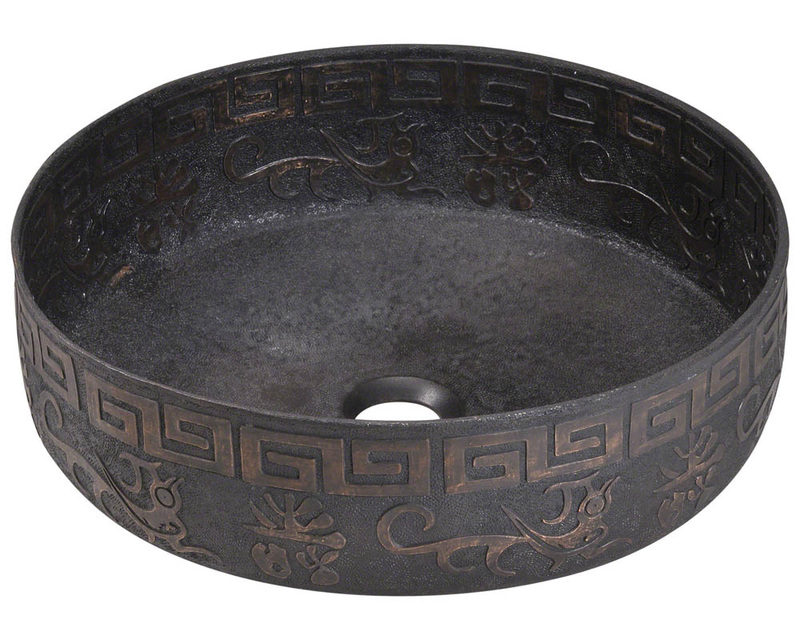 Some companies offer "bronze", which is actually a bronze resin made to look authentic. Bronze Resin technique involves mixing bronze powder with epoxy resin which is applied to a mold. 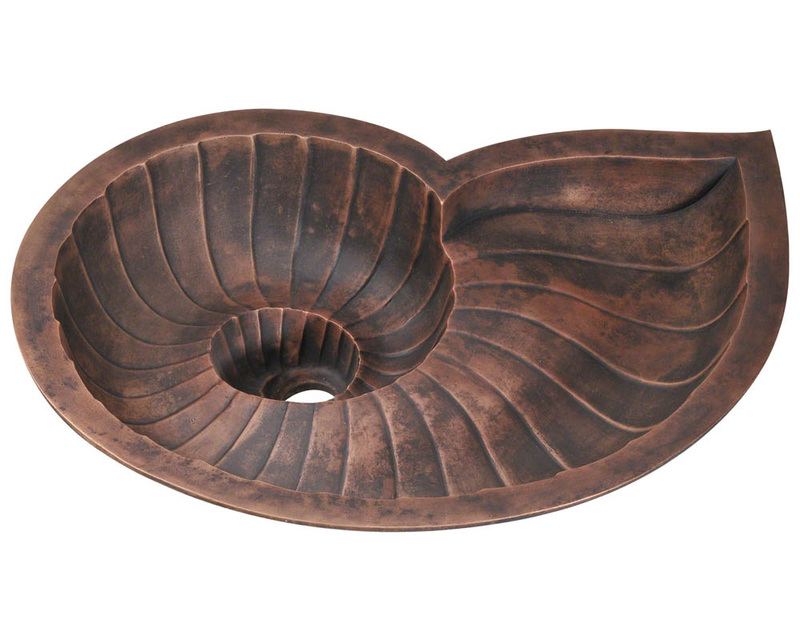 Many chemicals are used to color and fill the sink, whereas a natural bronze sink contains no paints or resins. 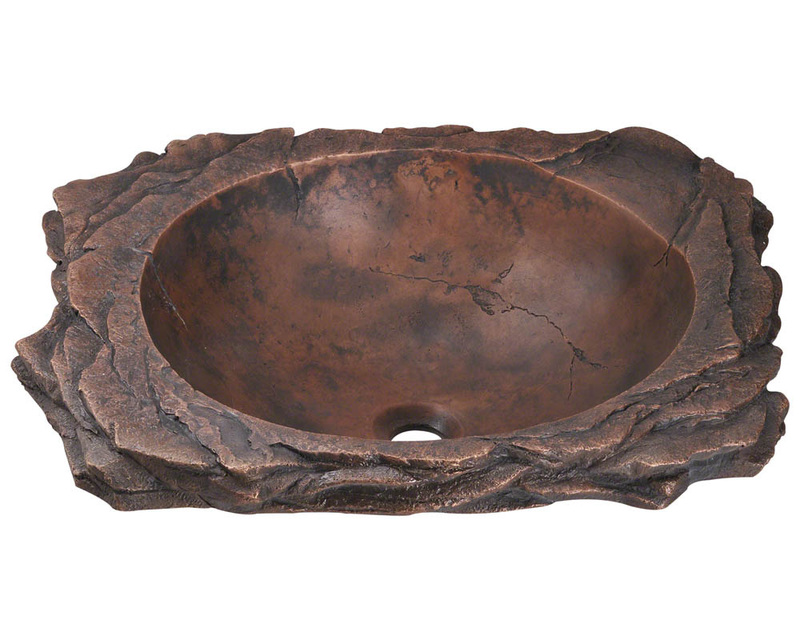 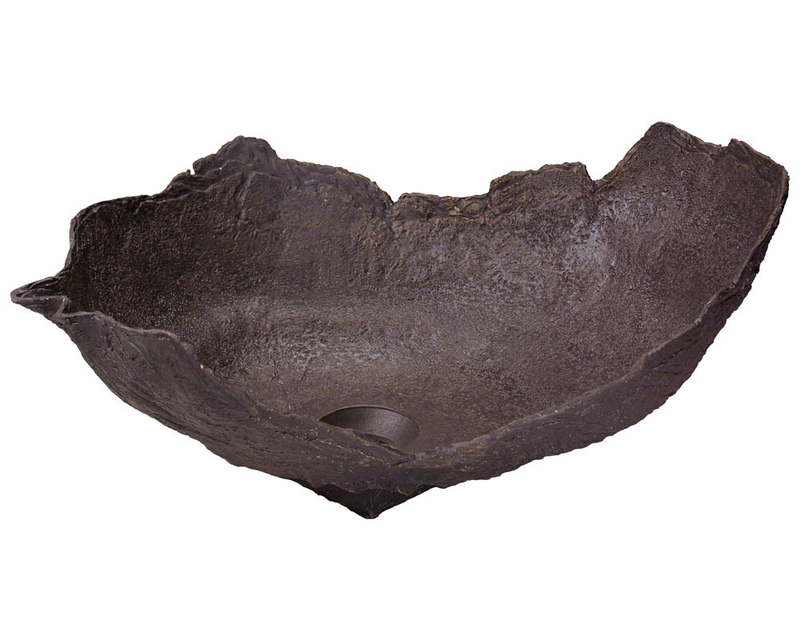 Our bronze sinks are made by casting molds and pouring melted bronze. 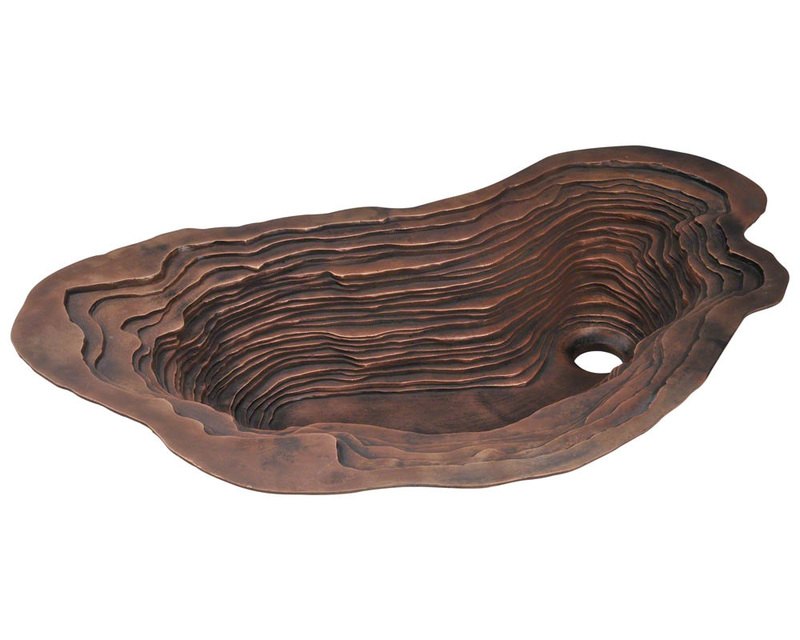 A complex mold is created out of wax and liquid ceramic. 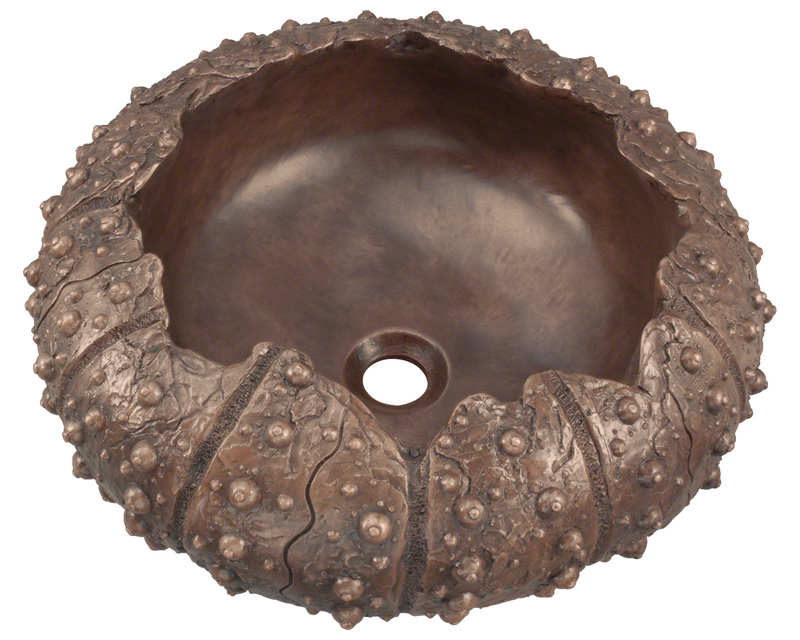 Once the mold is dry, melted bronze is poured into the heated ceramic mold to set. 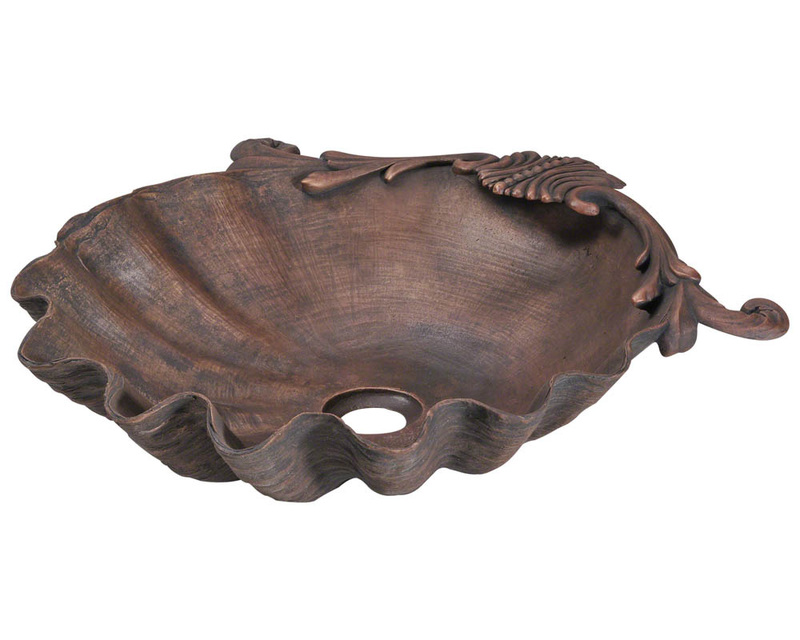 Once the bronze is ready, the wax mold is cracked to reveal the bronze sink. 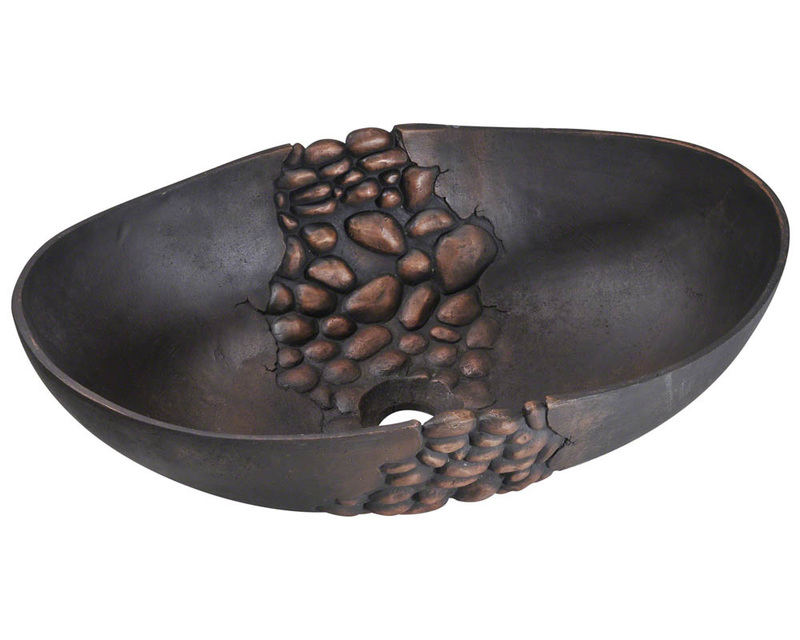 It is then polished and coated with a patina finish that is baked in. 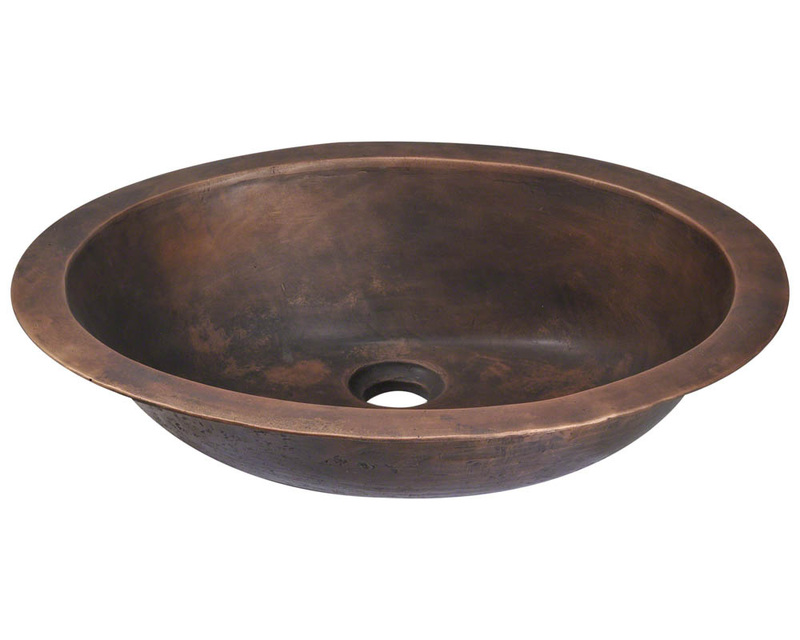 Patina - Bronze will darken over time and possesses the thermal conduction properties of copper. 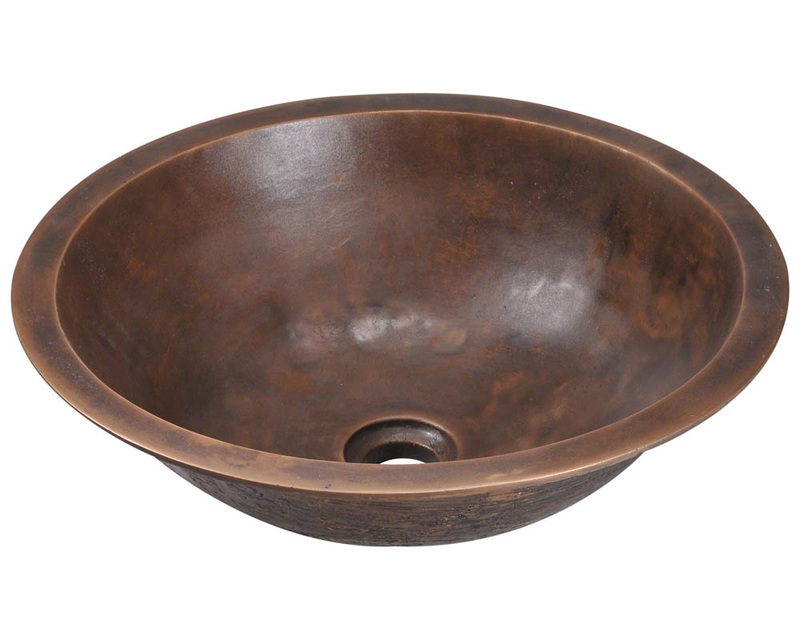 Our sinks are offered with an "aged patina" which is lighter, or an "antique patina" which is darker. 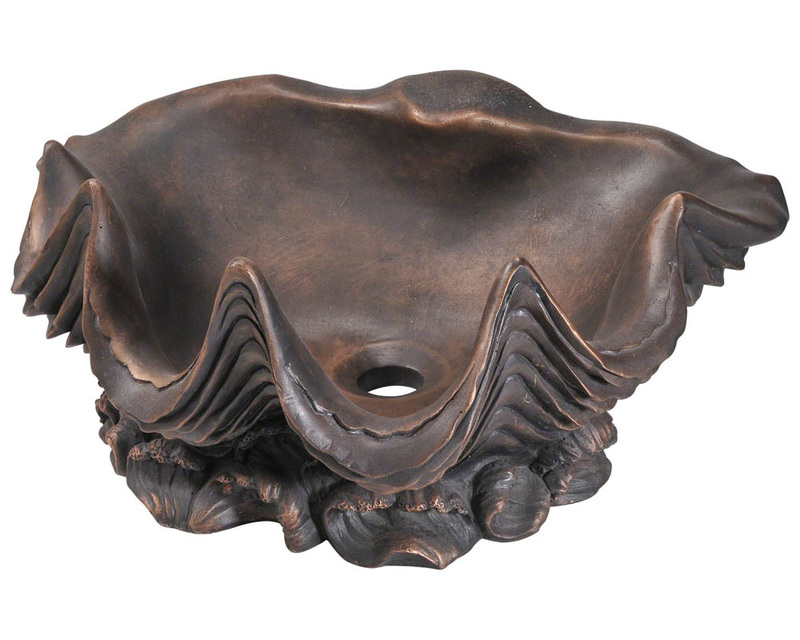 Each patina is a "live" patina that will continue to change the look of the bronze over time. 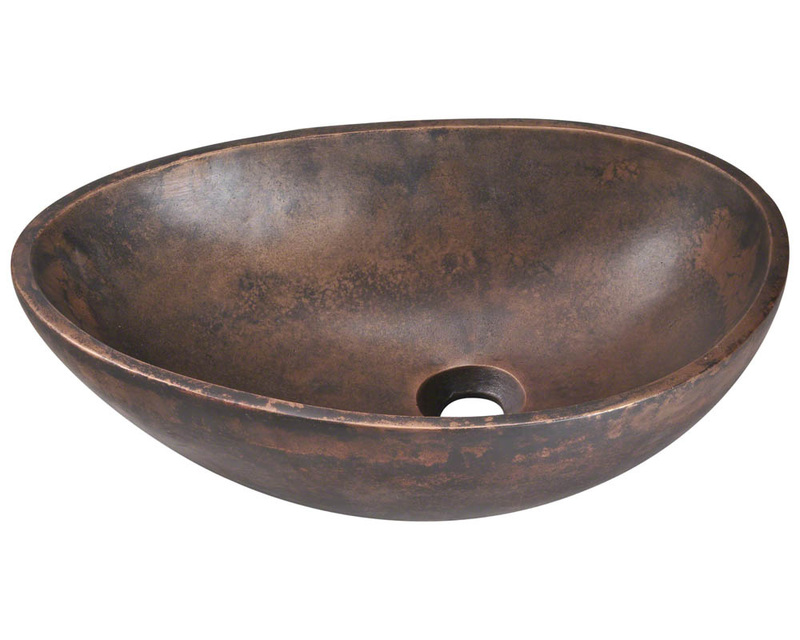 Patina helps define the shape and details of each sink.